The fee a property management firm charges is normally equivalent to about 5 percent of the income the rental payment of the building. 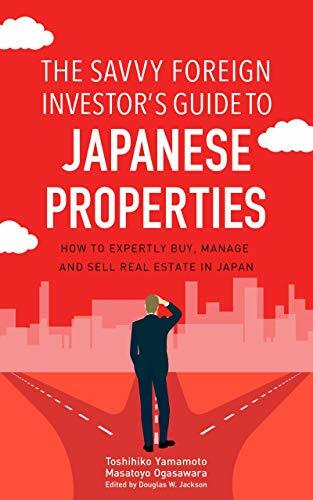 Finding a good property management company is not easy in Japan, unfortunately, especially one that is comfortable dealing with foreign owners and can communicate in English or another language. I still find it hard after eight years, despite dealing in my native language, and I’ve changed property management companies a couple of times for the apartment building I own. Common issues include not returning my calls, not answering my questions properly, and occasionally plain rudeness. I outsource daily management to them, and yet they sometimes ask questions about minor issues they should already know the answers to. On the other hand, sometimes they make big decisions without my knowledge or approval that affect my bottom line. That includes work costing ten thousand dollars, which is not petty cash. Good property managers are very quick at finding replacements for departing tenants, which is crucial because rental properties all over Japan are in surplus, which means rental properties are competing quite fiercely. It’s a tenants’ market. If your property managers are slow and not remedying problems, tenants will just leave. If your property manager is slow in finding tenants for vacant rooms, obviously that has a negative effect on your cash flow. One problem with property management people is that they often think you, meaning the landlord, are their only customer. You need to find property managers who treat the tenants fairly, because tenants are your customers. For a foreign investor, especially one living overseas, retaining a property management company that needs minimal instruction and oversight is a priority, because if you’re constantly having to worry about what’s happening and you can’t go visit your building and talk to the property management company face to face, it causes worry. It’s also much easier for the property management company to just say oh yeah we’re taking care of it, but not do so. The sad fact is that most management companies just want to get paid, and are always looking to reduce their workload. And they know owners don’t want to get involved in everyday management.